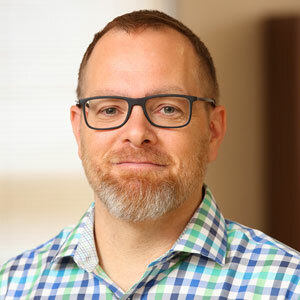 As part of our initiative to promote justice and equity within the nonprofit community, CNE is introducing a series of guest writers who have been grappling with what diversity, equity, and inclusion mean to them and their organizations and who have graciously agreed to share their insights with the broader community. Our second guest piece comes from Sunshine Mathon, Chief Executive Officer at Piedmont Housing Alliance. Last winter, the Board and staff at Piedmont Housing Alliance embarked upon a new strategic planning process. By April, sparked by staff inquiry into our organizational history, we explicitly began to examine the historical fabric of racialized systemic structures within the realm of housing, and the resulting inequities in financial assets, wealth, and homeownership that have sedimented across generations. Organizations such as Piedmont Housing are, by definition, institutions with internal power structures. Even when our organizations purport to subvert traditional external power vectors, they still function within a larger societal ethos that enforces a status quo distribution of power. Almost twenty years ago, I directed one of a family of six summer camps in Vermont with deep roots in social and environmental justice. At that time, a former camper had grown to become a professional organizer with an anti-racism training organization. Recognizing the camps had been foundational in her own life’s work, yet that they were also flawed, she approached the leadership and lovingly challenged us to look beyond our successes, to examine the fulfillment of our mission through new lenses. 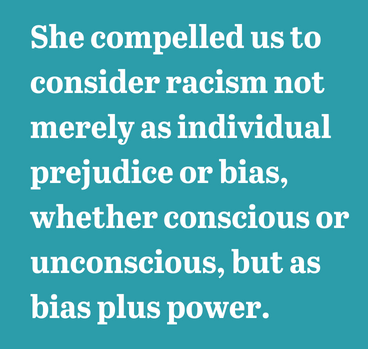 She compelled us to consider racism not merely as individual prejudice or bias, whether conscious or unconscious, but as bias plus power — power effected through institutions or organizations. She tenderly provoked us further by asserting that, given the larger societal context, individual acts of power, shaped by prejudice or bias, will ineluctably weave through any organization that does not work explicitly to dismantle them. Develop organizational leadership to catalyze institutional change in Charlottesville and surrounding counties, as well as the affordable housing sector, toward eliminating internal and external systems of racial, cultural, and ethnic inequalities. Recognizing that we have our own work to do internally before we can authentically provide leadership, over the next year we will be focused on implementing an organizational racial equity assessment and holding board and staff trainings on implicit bias and related themes. Complex and consequential work such as this is always confronted by the tension between the demand for urgent action and the obligation to design for long-term transformation. The terrible events of August 11-12 last year did not alter the city’s historical fabric. The events altered the narrative, revealing filaments not everyone could previously see. As we approach the anniversary of these events, I lovingly challenge us all to embrace the thorny simultaneity of the urgency to act and the necessity of transformational leadership. Collectively, we must look beyond our successes, to examine the fulfillment of our missions through new lenses. community through education, lending, and equitable development. CNE is excited to announce a new Advanced Training series dedicated to creating more equitable organizations. Also, please be sure to check out our website for a curated list of resources related to diversity, equity, and inclusion in the nonprofit sector.